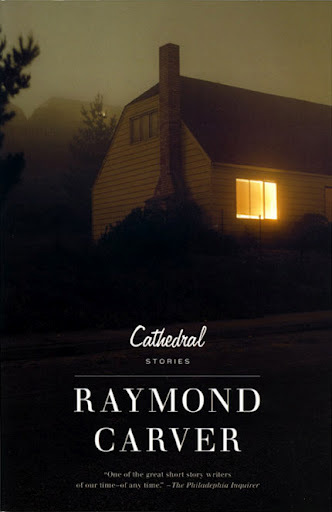 I don’t often find myself holding such deep empathy for characters as I did while reading a selection of Raymond Carver’s stories in Cathedral. The man was brilliant at capturing the human condition with stripped-down language and few words. He animated the ordinary and mundane; uninteresting people suddenly become complicated and intriguing characters on the page fueled by such strong emotions as loneliness, resentment, and grief. As suspense continued to climb through each story, I kept wondering what a particular character was going to do next. In the story “Preservation,” I was waiting for the wife to snap in response to her depressed husband who spent three months on the couch after losing his job. I really thought at one point she was contemplating violence, yet, it’s never once suggested in the words on the page. Anger and frustration are portrayed through her actions and observations of her husband’s despondency, but it’s between the lines and paragraph breaks where her violent thoughts reside. The underlying emotions and mental states in Carver’s stories are incredibly real, yet only touched upon in the words themselves, if at all, like the clichéd iceberg analogy I won’t bother to recite, you’ve heard it more than once. Likewise, I found similar empathetic responses in other stories, particularly the heavy grief-weighted sadness of “A Small, Good Thing.” It would not surprise me if this story had a reputation of drawing tears from readers. The fright of two parents coping with their severely injured child in the hospital and the unknown outcome is not an easy one to portray. This story left me in a somber mood; there was a lot to rationalize and digest. So now, my self-imposed challenge is to accomplish at least half this reaction from readers of my own stories. This entry was posted in Book Response, MFA Writing, short fiction, writing craft. Bookmark the permalink. Thanks Derrick, I always appreciate your responses to these blogs. Thanks for sharing this Carver interview, I will read it!